I loved the result & especially how they took so much care of my hair to help it stay healthy despite the bleaching (especially at the bottom). Random picture I found of me with my old hair as a sort of "Before" picture! I think this is the stillshot captured when I did my Poetree video! 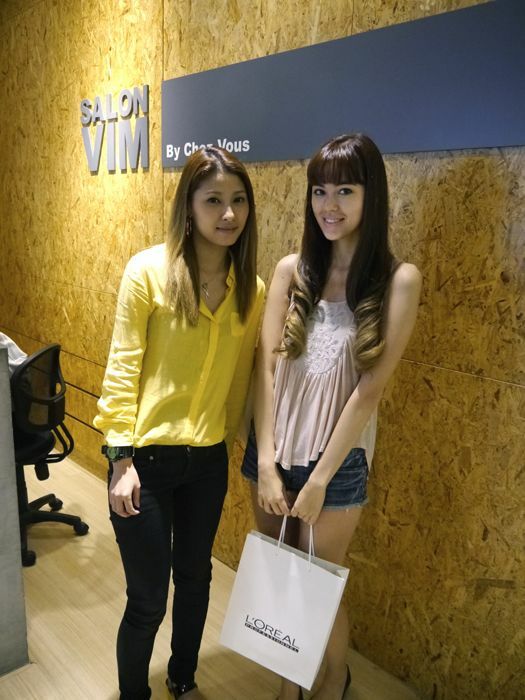 So anyway it was my first time down at Salon Vim, which is conveniently located in town! I was assigned one specific hairstylist to do all my future hair appointments with, so that she can learn about my hair type & likes specifically to cater more to my needs (or my hair's needs rather). 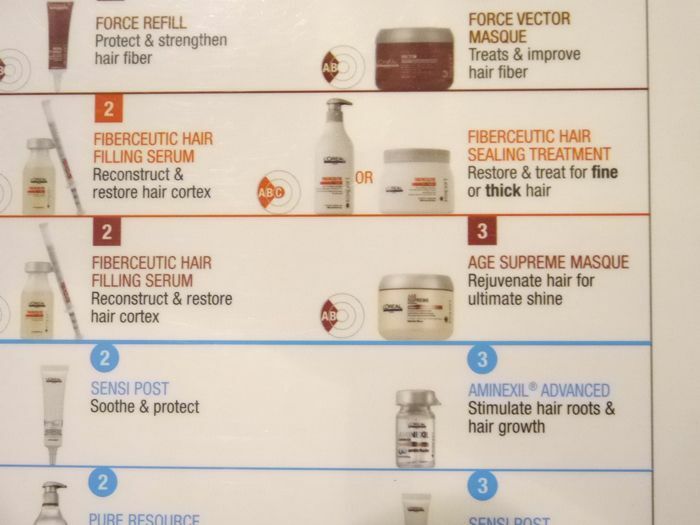 They literally have an appointment card with your hair type, length... etc. It was my fair time getting a hair treatment done too! I didn't really know what was going on & left them to it. They're specially selected based on what I was doing that day! 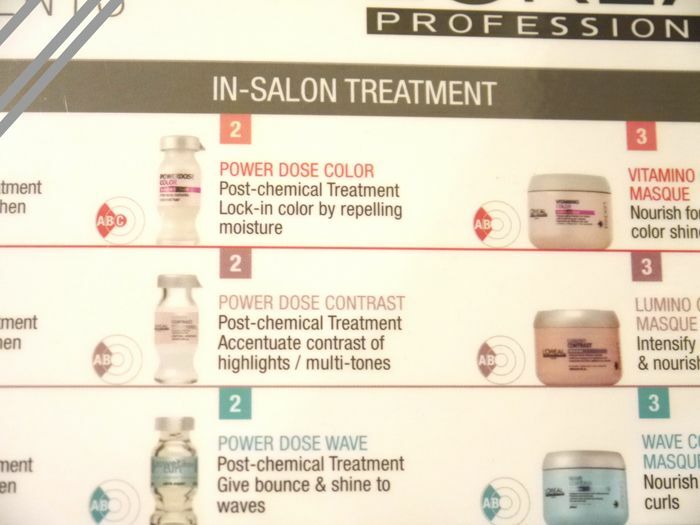 They used #2 of the top (pink) row, which is a range for coloured hair! #2 is for locking in the hair colour after dyeing. I think the bulk of the rest that they used for my treatment is from the 2nd row, orange-coloured! 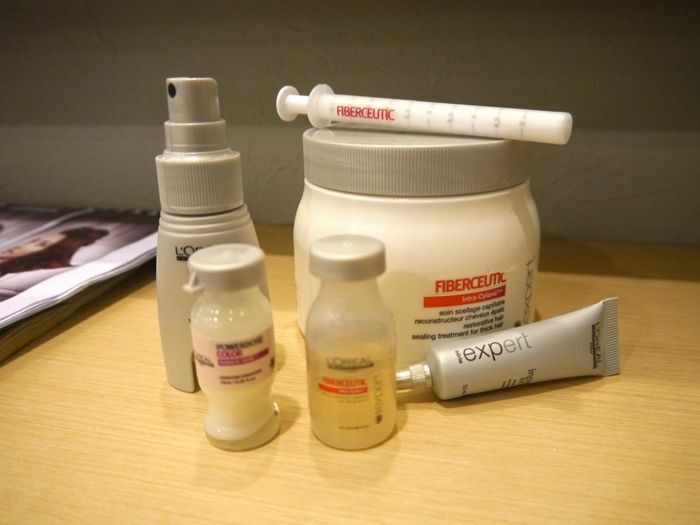 It's all about restoring the hair & making it healthy again despite the stuff done to it! Never seen this machine before. It's kind of like a steamer! No wonder my hair came out looking so nice at the end of the visit! 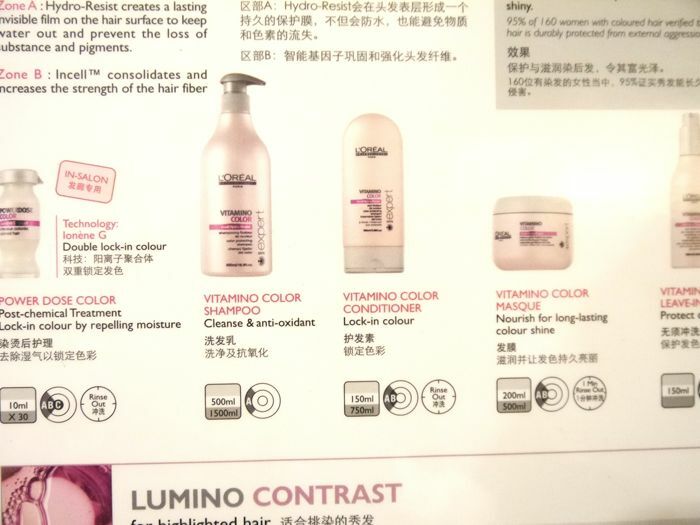 They also gave me some take-home L'Oreal Professional products to help improve my hair's condition. 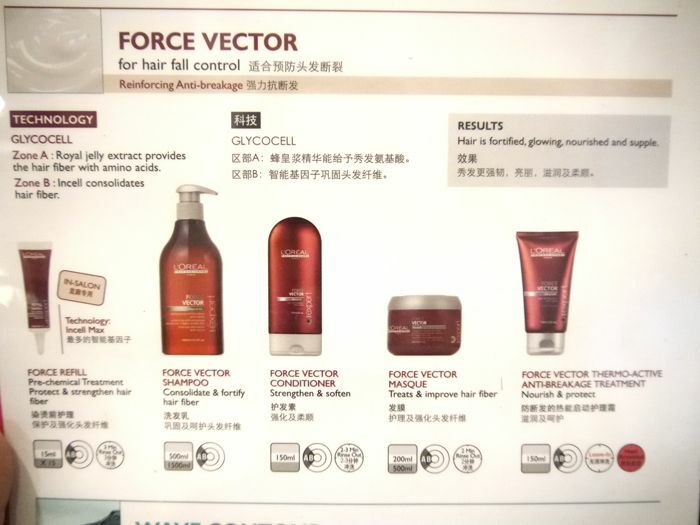 Shampoo from the Vitamino (for coloured hair) range & hair mask from Force Vector (hair fall)! Ok anyway... Done with my hair! My hair has a few streaks here & there of the same colour as the bottom! This is my stylist, Stephanie! You can look for her if you go down to the salon! Went home & took loads of photos because my hair was so nice that day! I loosened the curls a little after dinner at 313! My hair was so soft & nice! Still using up my old bottle! But I wanna do more colours with the dip-dyed bottom so I'm going to have to start with the products they passed me! My contingency plan is to chop it all off, that's why I picked dip-dye in the first place haha. And I didn't want to bleach the top because it'll hurt my scalp! AND... they have a promotion/giveaway right now! 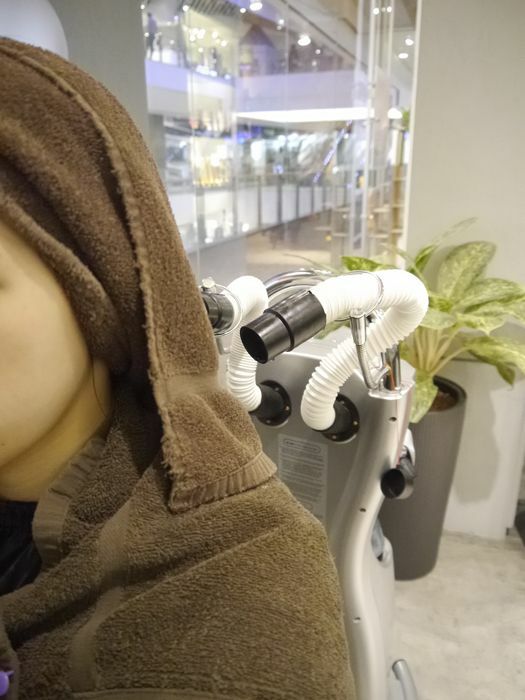 Every Friday starting from 13th April - 11th May 2012, they will be choosing a lucky winner who will be entiled to a Series Nature pampering treatment down at Salon Vim! Screenshot your profile to show that you shared the photo! Comment on their album with "I WANT THE FREE HAIR TREATMENT SALON VIM!" 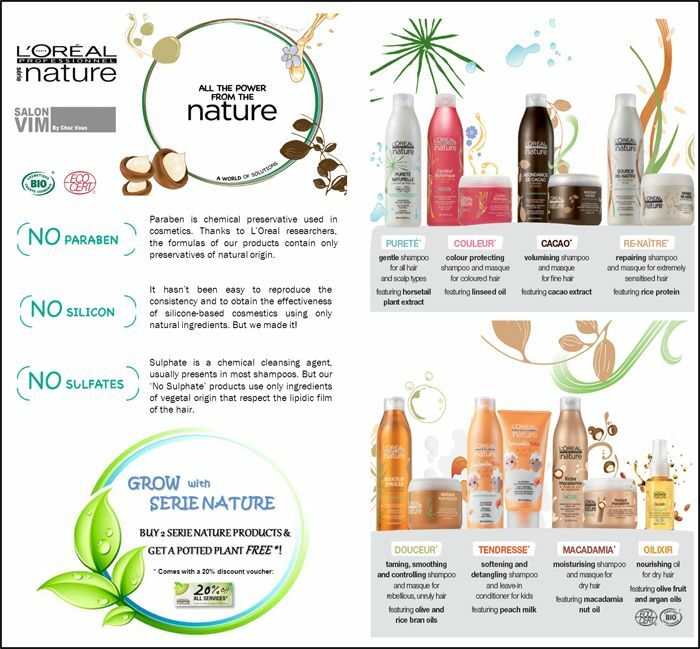 With every purchase of 2 Series Nature products, you will be entitled to 20% discount off all full prices hair services, valid on the day of purchase itself or on the next visit! L'Oreal Professional will also be giving away mini potted plants (while stocks last). (depending on the amount to bleach, so do dip-dye instead of ombré haha). 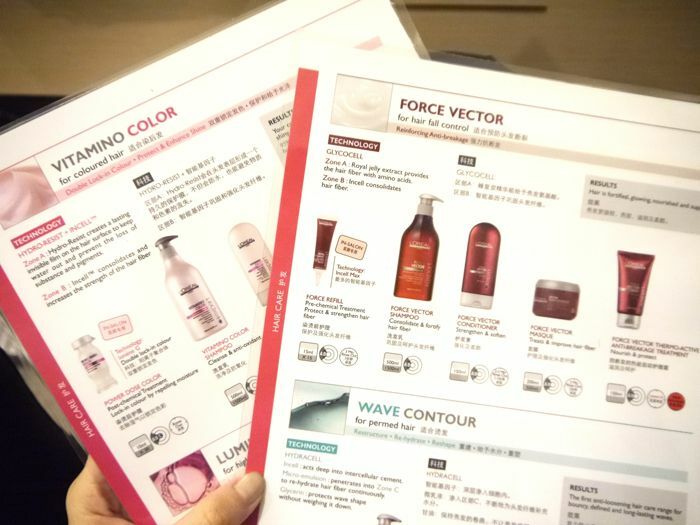 There are additional charges if you require toning/treatments after bleaching! 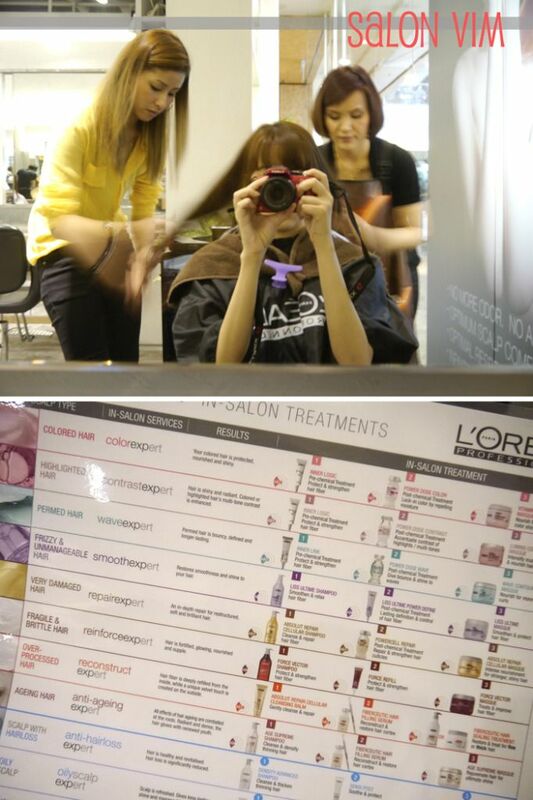 8 comments on "Dip Dye at Salon Vim"
The dip dye looks nice on you. Especially since your hair is super long! Would you consider wilder colours (e.g pink/turquoise) one day? Haha. hi! can i ask where u got your flower headband thing from? Thanks~! Anonymous: I got it online from a girl who makes them! If you want you can email me & I'll try to search for her contact. Anyway I'm wearing two, one is from her & the other from Diva! 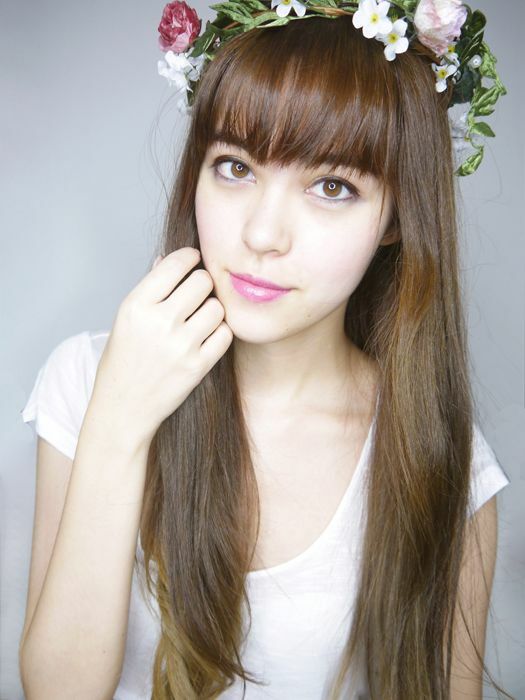 Diva & F21 have flower wreaths/bands! Can you still contact the maker of the flower wreaths? I would love to purchase it! Your before hair look much healthy & silky. The dip dye makes your hair look unhealthy. hello sophie! whats the lipstick you use in the post?? Thank you!